People use the word "anaconda" to usually refer to the green, or common, anaconda. However, the term actually refers to an entire species of snakes. The Eunectes snakes are the heaviest snakes in the world and are usually found in the Amazonian ecosystem of South America. The anaconda is one of the most famous snake species, but the first scientific field studies of the reptile were not conducted until the 1990s. The green anaconda can grow to 29 feet long or longer, weigh 550 pounds and be 12 inches or more in diameter. This snake lives in the tropical parts of South America in Brazil, Colombia, Venezuela, northern Bolivia and northeast Peru. They can also be found in Guyana and Trinidad. The yellow anaconda lives farther south in Argentina. The other smaller anacondas, the dark-spotted and Bolivian varieties, have territories that overlap the green anaconda's range. Water is a necessity for the anaconda. The Amazon is the source of one-fifth of free-flowing water in the world, making it a natural habitat for the snakes. The animals are bulky and slow on land but fast and stealthy in the water. Anaconda eyes and nasal openings are on the tops of their heads so they can be nearly completely submerged and hidden in water while waiting for prey. The snake is known for wrapping its coils around prey until it suffocates, but most of the time anacondas drown the animal first. Flooded forests and swamps are their favorite hunting grounds. The snakes also sun themselves in tree branches that overhang rivers so they can quickly dive into the water if they are threatened. Anacondas share their Amazonian ecosystem with a number of other animals, most of which are prey. 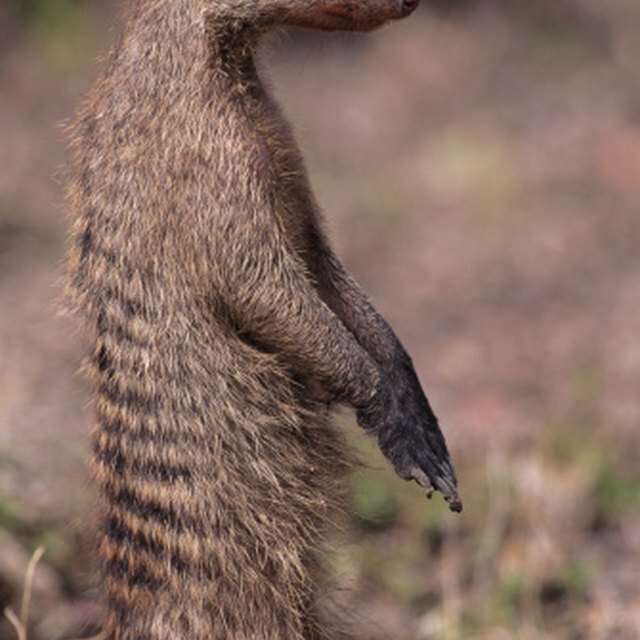 They reach their giant size by eating wild pigs, birds, deer, capybara and caimans. Their only natural enemy is the jaguar, the largest mammalian predator in the Amazonian jungles. Sometimes, though, even the wild cat can become a meal for an anaconda. The large snake also lives in an ecosystem with lush plant life. The Amazon has nearly 400,000 plant species. 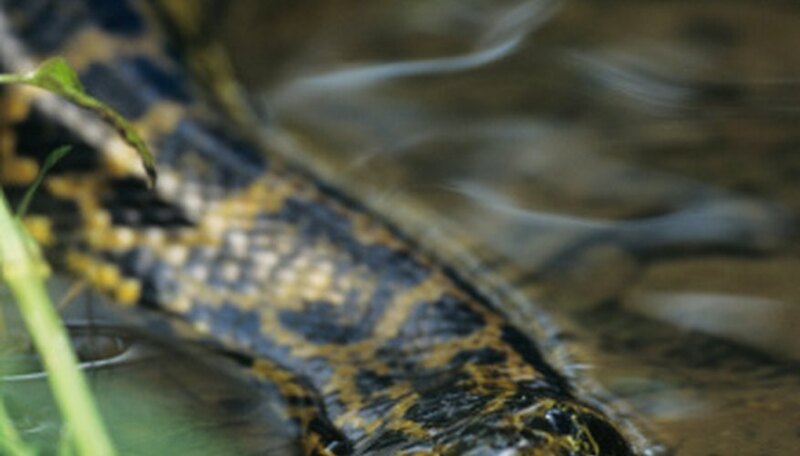 An ecosystem with water, trees and plentiful prey is crucial to the anaconda's survival. However, several human activities are threatening the animal's ecosystem. Researchers don't know exactly how many anacondas live in the wild. Trade in anaconda skins or the live snake is prohibited in all South American countries, but an active black market for the animal still exists. The Amazonian wetlands are being drained, rivers dammed and forests logged. This depletes the amount of large prey and territory for anacondas. The World Wildlife Fund predicts that 55 percent of the Amazonian forests will be gone by 2030. May, Sadie. "What Type of an Ecosystem Does an Anaconda Live In?" Sciencing, https://sciencing.com/type-ecosystem-anaconda-live-8597187.html. 24 April 2017.